"Product Groups" is the term for how AmeriCommerce online stores handle a parent product that has children products underneath it. This has many advanced uses that almost no other cart software has off the shelf alongside the other product features already there. A kit of products sold as one like a bed with a dresser and two nightstands. Some items are optional, some may be required. Special group pricing may apply. The dresser and nightstands can be bought separately as well. A logical grouping of products that you want displayed and sold together on one page all sharing the same description or pictures, even pricing. Such as cat food sold in 10 different sizes all at different prices and price breaks. They are all the same thing but have different prices, shipping requirements, weights, tax-ability, descriptions, etc. Sell optional add-on services that you want bound to the product once it is added into the cart, such as embroidery or screen printing on a shirt. These addons must remain tied to the specific instance of the item in the cart because they only relate to it. They can also be sold separately. A mix and match of any of these options can serve so many use cases. Totally separate pricing & pricing rules for each item in the group, even totally separate quantity breaks and more. Use 1 master description for all of the items in the group, and override certain other descriptions for each child item. Pictures on the parent item are also joined with all the child items' pictures to make 1 master set of pictures automatically. Keeps the parent-child relationship throughout the AmeriCommerce online store system for reference purposes on orders/reorders. Displays children items beneath their parent visually in the cart/order to help end users visualize the tie. Can "require" an item to be purchased in the group, this item/min quantity cannot be removed without removing the whole group from the cart/order. 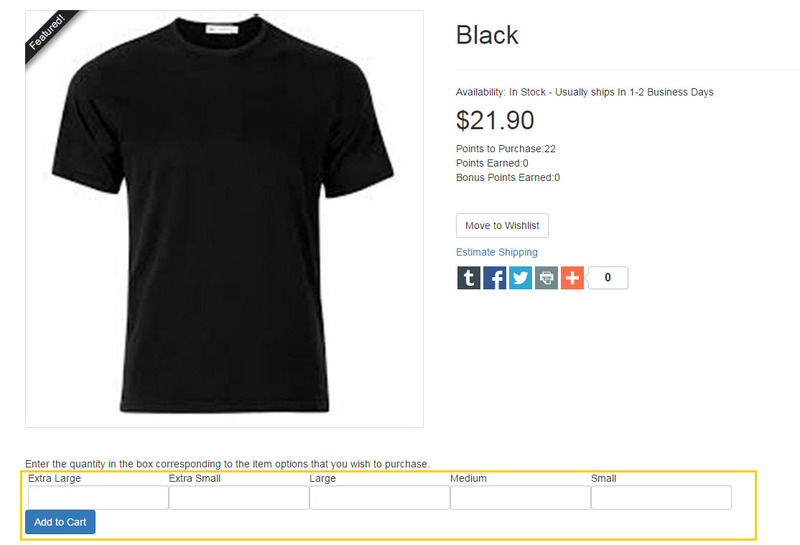 Can automatically add a specified quantity of a child item to the cart when a certain number of the other items are added to the cart. Quantity can be bound to the parent item, meaning if you order 24 of the parent, you get 24 of the child and it will not be update-able. Variant choices are not currently supported with the child items (ok for the parent). This may be added in the future. All items must be active in the store and must be active in the store's catalog. Group items cannot be hidden/unavailable. If a product is added as a child product to an info-only parent, the child product will no longer show up on any category pages. Currently, cannot have a kit price that "overrides" the sum of the child items' prices. The price for the kit is a sum of the parent + all children's applicable price for the quantity supplied. This functionality will be extended at some point. This can be mimicked if your child items have a 0 price and you set a price only on the parent of course. But this may not be ideal if you want to sell the children separately. Variants are variations of a "single" product like color, size, dimension. A red shirt size large vs. a red shirt size medium are both the same product, just a variation of it. Groups on the other hand are other products entirely, they have their own SKU/Identifier, tracked separately and are logically different products altogether. They may have different shipping rules and more since they could be totally different products. Variants can have stuff like price equals=$5, or add +$5 or subtract -$5, there are also simple shipping and weight adjustment options, but most things roll down from the product itself down to the variants. Groups on the other hand are totally self sufficient products with full pricing rules, descriptions, images, shipping restrictions and settings and so much more. Complete power of a normal product is at your disposal. Variants are simpler and more basic and serve a great purpose and can work very well side-by-side with groups. Such as if the parent is a shirt with color options, but you want to add decorations or other addons to the shirt using product groups. Related items are just pointers to other items of interest, they bear no physical relationship to the product they are attached to. Like a cell phone with related items of a carrying case, power charger, etc. You just want to show the user the other items are available. Maybe even force it in their face with our upsell options that are on the related items. Groups on the other hand are bound logically in some way with the parent item, either for display/ordering, or they are really bound to that item and the selections chosen need to stick with it throughout the order process (like a shirt with decoration on it..you have to know which shirt in the cart the decoration goes with). Related items are just simple lists of items given to the customer for purchase. Groups are smart lists of items with tons of options for doing many advanced scenarios. 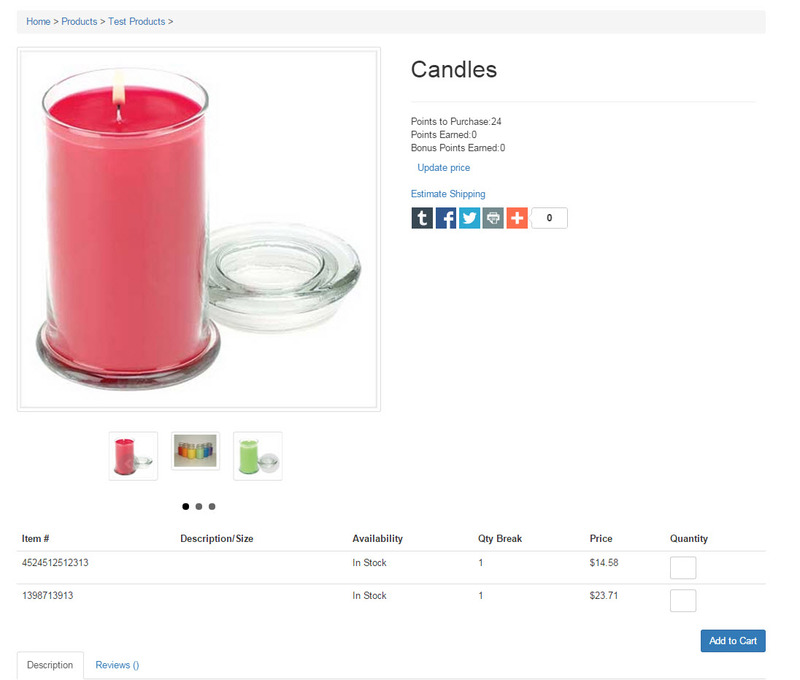 Related items work better with variants if there are variants on the child items, it will direct to the product page of the related items so the customer can select the variant options. Group children cannot have variants currently, but the parent can. This will change eventually. Provides the base for a configurator, like a configure your computer/car with hundreds of options all being cross related and dependent on each other.